Fenugreek also is known as Kasuri Methi is short, an upright plant which is similar in features to spinach with oval leaves. The entire plant has a strong, sweet aroma. The mature leaves have the bitter taste. Let’s see some of the amazing health benefits of fenugreek here on this page. 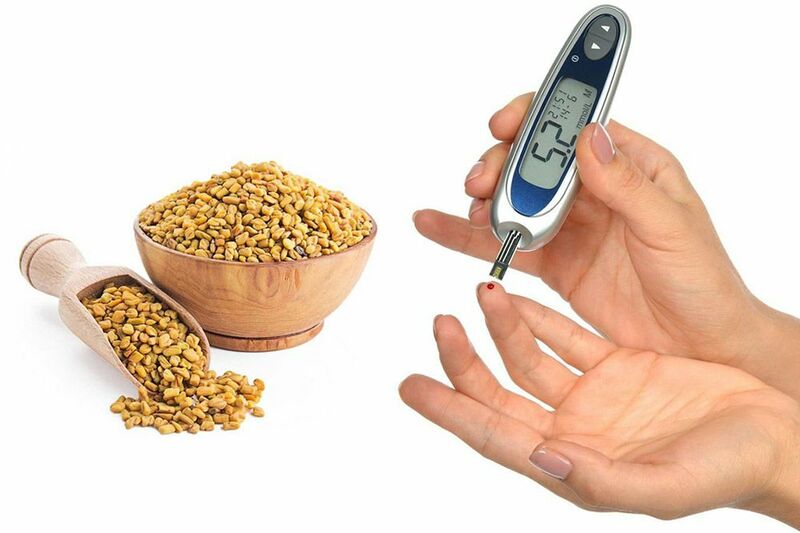 Fenugreek Seeds are definitely very helpful in controlling blood sugar levels. Also known as Methi seeds is a very good herbal supplement which helps in controlling Diabetes without any side effects. The seeds contain fibre and other chemicals that may slow digestion and the body’s absorption of carbohydrates and sugar. The seeds may also help improve how the body uses sugar and increases the amount of insulin released. Several studies show that fenugreek seeds can improve most metabolic symptoms associated with both type 1 and type 2 diabetes in humans by lowering blood glucose levels and improving glucose tolerance. Diabetics usually have a higher risk of cardiovascular disorders. By lowering the triglycerides and cholesterol levels in the blood, it also helps in lowering the risk of cardiovascular diseases. It is suggested to consume about one teaspoon of fenugreek seeds powder with lukewarm water early in the morning for better results. Dandruff is a common hair problem resulting from dead skin cells in the dry scalp. Soak the methi seeds overnight to soften them and grind them to make a paste. Add curd if needed to the paste. Wash off your hair after 30 minutes, and say goodbye to dandruff. Control pimples Methi seeds prevent outbreaks and are effective in blackhead treatment. 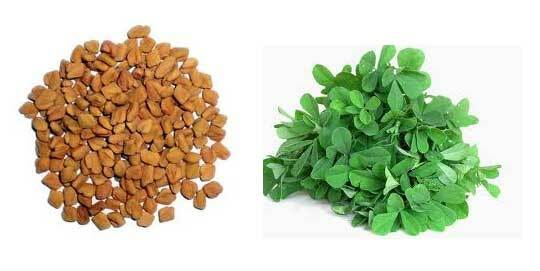 Fenugreek helps to reduce cholesterol level, especially that of the low-density lipoprotein (LDL). They are known to be a rich source of steroidal spooning that prevents the absorption of cholesterol and triglycerides. It also contains a high amount of potassium that counters the action of sodium to help control heart rate and blood pressure. Let’s discuss the natural secret for more milk for your baby. Fenugreek is a herb that has been used as a galactagogue to boost milk supply. The seeds of fenugreek contain hormone precursors that increase the body’s ability to produce breast milk. 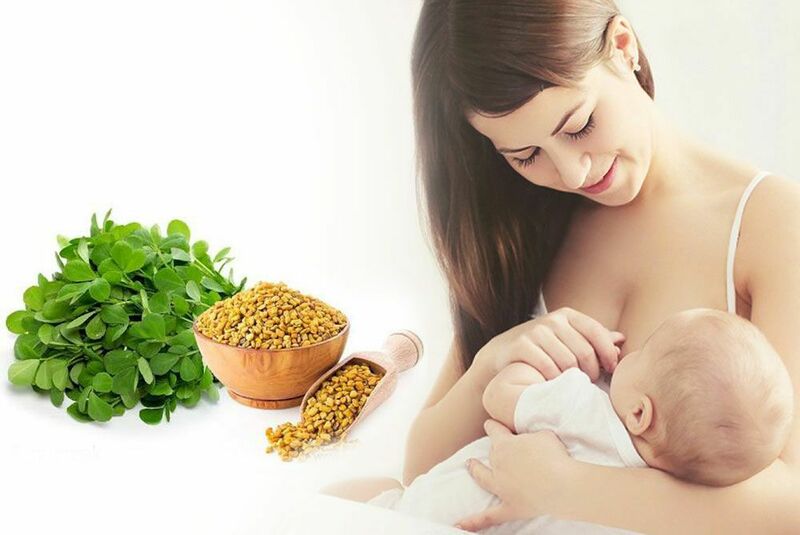 High-quality fenugreek has been shown to promote the growth of breast cells that can help to maintain breast during lactation. Most women see an instant increase in natural milk production while using a high-quality organic fenugreek. Fenugreek is a herb. Its primary uses are as a herb or spice in Indian and Persian cuisine and as a galactagogue for breastfeeding mothers. Generally, galactagogue work by increasing prolactin levels. Domperidone, for example, is a drug galactagogue that works by blocking dopamine receptors, which prevents inhibition of prolactin release and thus helps increase milk supply. It works for many women, but not all, and not much clinical research has been done about its effectiveness. Mothers generally notice an increase in production 24-72 hours after starting the herb, but it can take two weeks for others to see a change. Some mothers do not see a change in milk production when taking fenugreek. Once you see the increase, you can discontinue fenugreek and rejoice in the extra milk and smell normal again. However, you need to keep removing the new and improved amount of milk from your breasts (via your pump) to keep your supply up. Helps you lose weight Include fenugreek in your weight loss diet by chewing soaked methi seeds in the morning on an empty stomach. The natural soluble fibre in the fenugreek can swell and fill the stomach thereby suppressing your appetite and aiding your weight loss goals. Methi seeds destroy the free radicals in our body, which causes so many serious facial problems like wrinkles, fine lines, dark spots, and infections. Methi seeds lighten your skin tone and make your appearance brighter and better. Methi seeds facilitate breast enlargement, and the dysgenic present in it improves breast milk production. It is also the answer to various common problems faced by women such as menstrual cramps, hot flushes, and, period discomfort.